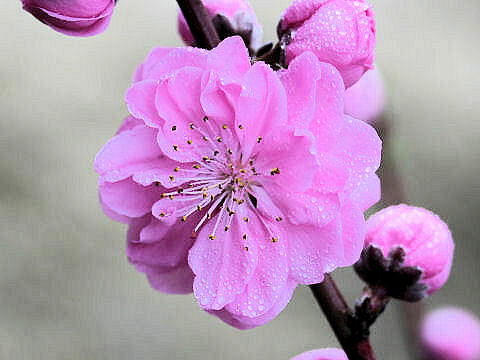 Peach (Prunus persica) belongs to the family Rosaceae (the Rose family). 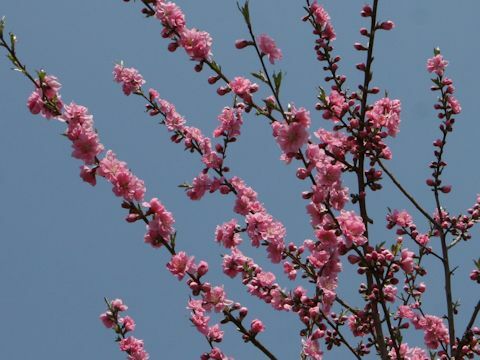 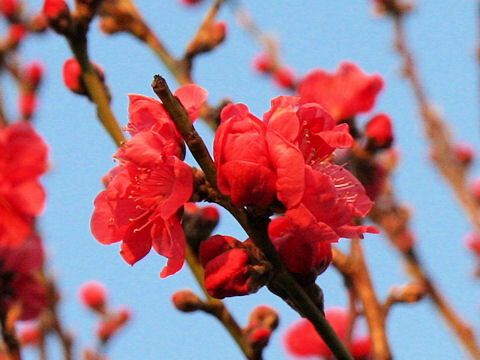 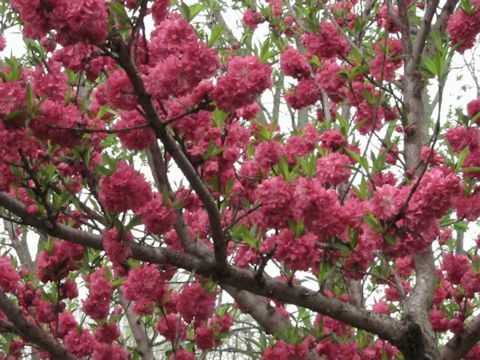 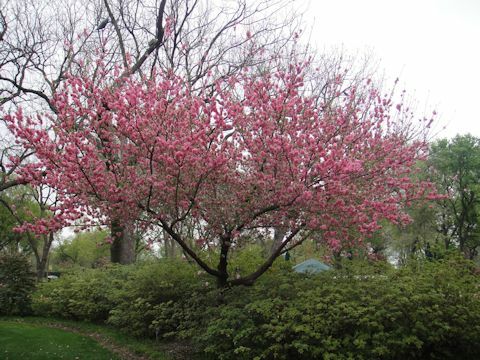 It is a semi-tall deciduous tree that is native to China. 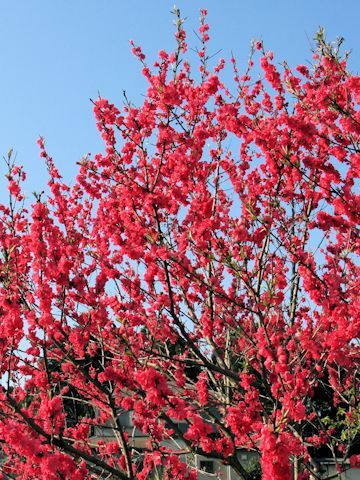 This tree has been breeded as an ornamental tree from Edo Era (about 270 years ago). 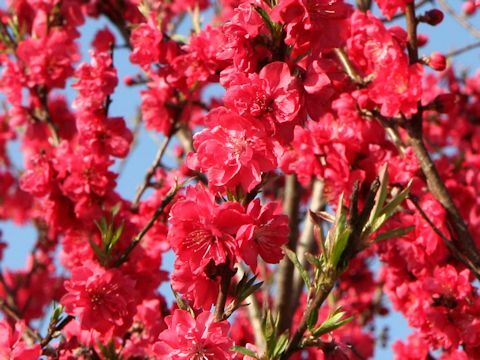 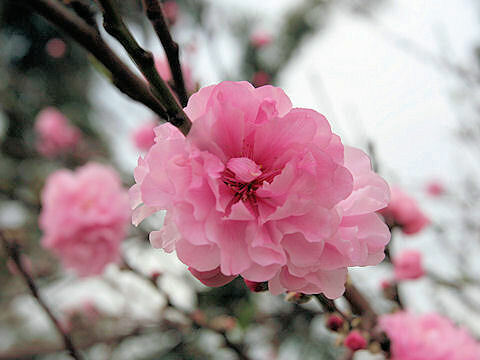 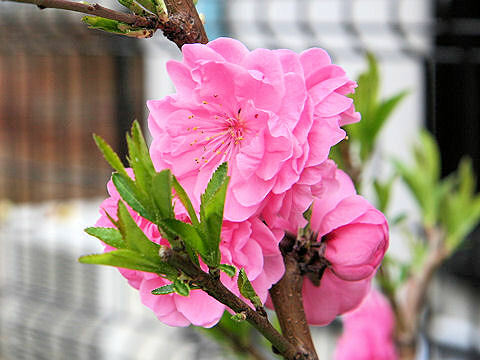 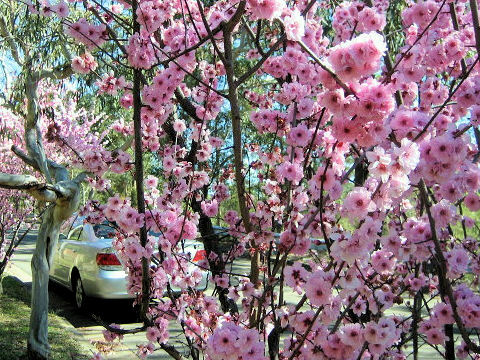 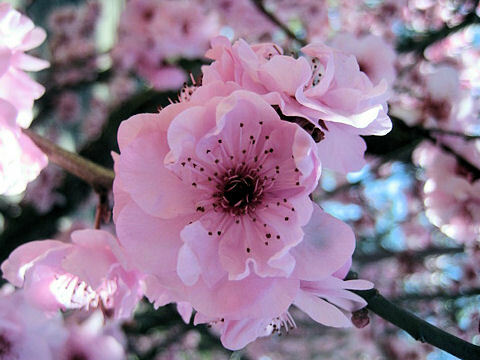 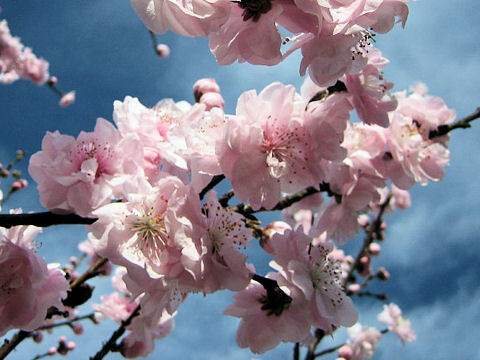 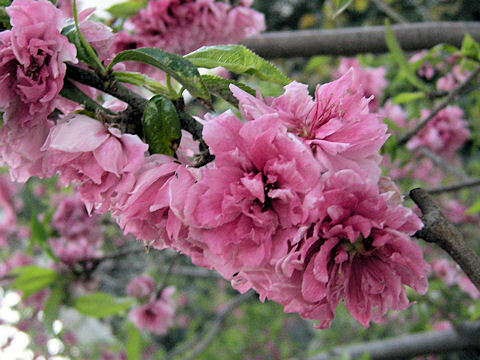 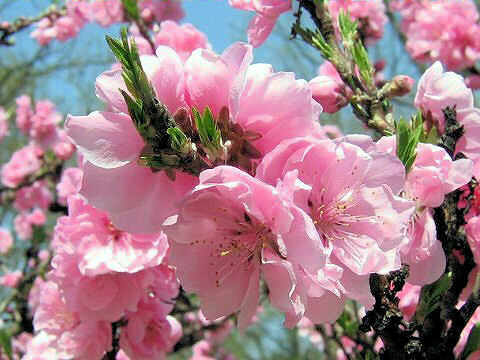 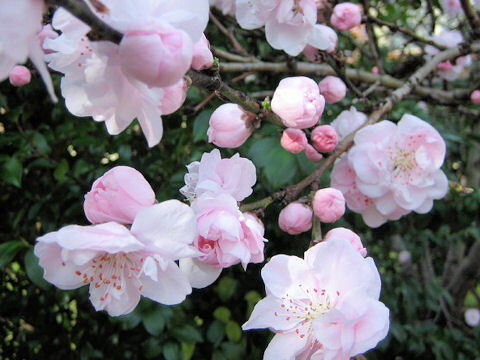 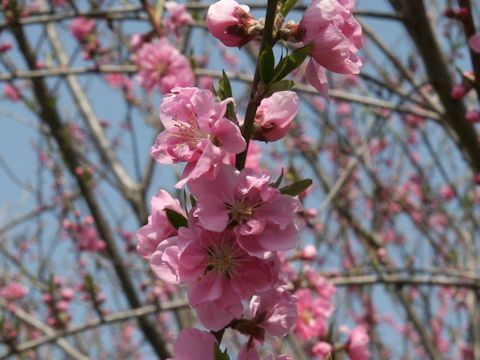 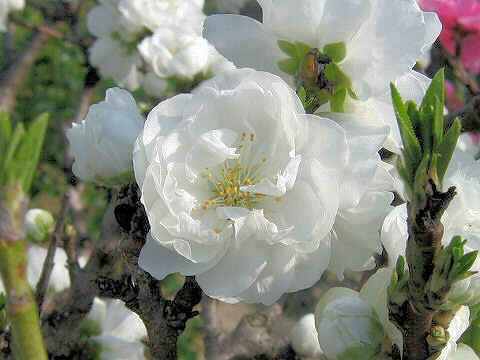 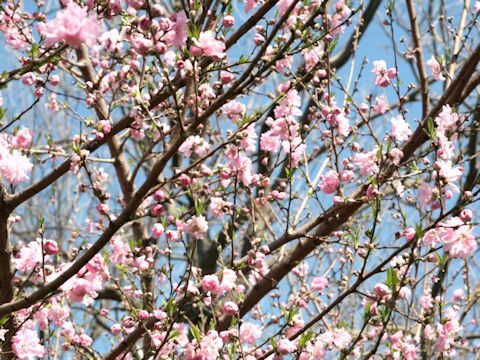 This peach are double-flowered and the colors are white, pink or rose-pink. 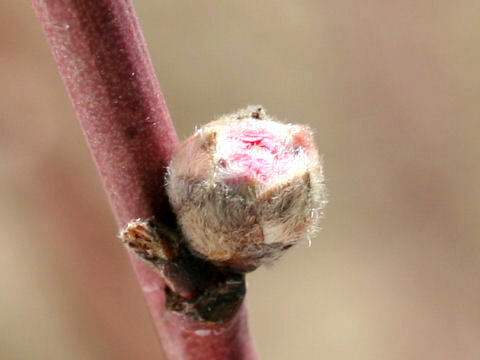 The fruits are small, firm-fleshed and uneatable.